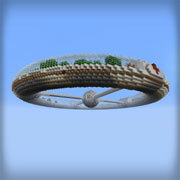 Welcome to Plotz, the FREE HTML5 Modeller for Minecraft. Generate Spheres, Ellipsoids, Torus and more in your web browser. Launch Plotz Modeller for Minecraft by selecting the object you want to model below. Read further information about models and troubleshooting below. Please link ONLY to this page, not model pages. 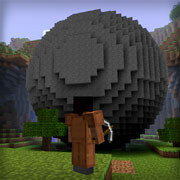 Model hollow spheres of up to 256 blocks in diameter. 2D view includes counts of edge blocks on curves making building easier. Model ellpsoids with varying height, depth and width of up to 256 blocks diameter. 2D view has edge counts on curves in the top/left quadrant. Model torus or doughtnut objects. 2D view has inner and outer edge counts saving you counting blocks when building. Model with varying overall diameter and thickness of the torus shape. 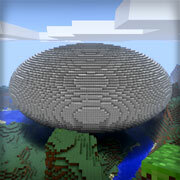 Torus diameter goes up to 256 blocks! Thickness is limited to a maximum of 1/2 the diameter. 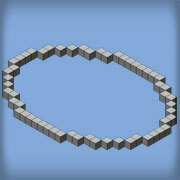 Create ellipses of varying width and depth up to 256 blocks. A handy tool for curves and arcs to use in models such as curved walls and enclosures or the curve of a suspension bridge span. Create an observatory model with open viewing doors and inner platform. 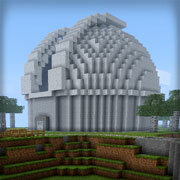 Base diameter can be up to 128 blocks. Add your own inside detail, doors and furnishings as required. 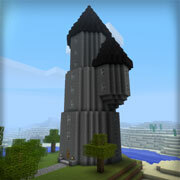 Easily model stunning Wizard towers with pointy roofs. Angle, number of floors and so height of tower are all adjustable up to 128 blocks height. Additionally add a side tower and set its height. 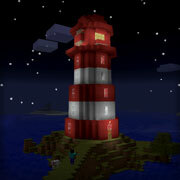 Model a lighthouse with chosen diameter, wall angle and height. This model includes where to place glass in the top section. You can easily add a circuit to produce a rotating light. 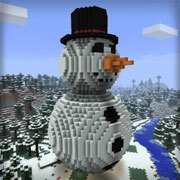 Create a giant snowman. Simply select the body size and let Plotz calculate the head, hat and nose size for you. You can find the old Plotz modeller here. Please complete any models you started with the older Plotz using that version as the newer Plotz does not create the exact same models block for block. Ensure your web browser is up to date. I suggest using Chrome, Firefox or Safari web browsers. A failure to render, especially on low end or mobile devices could be lack of memory. In this case I suggest you close any other windows or apps, reload the page, and if the model includes the 'precision' setting, use a low value. Larger models use more memory. Working on the iPad or tablet device? Try maximising the time your device takes before powering off and reduce screen brightness to save battery life. The current version of Plotz does not print. If you require a printout of schematics use the old Plotz. ©2011 - 2019 Kevin Reynolds, all rights reserved. No part of this website may be reproduced without permission.